Today is the third day of the Summer Sampler Series and it is one of my favorite blocks selected for the quilt along. 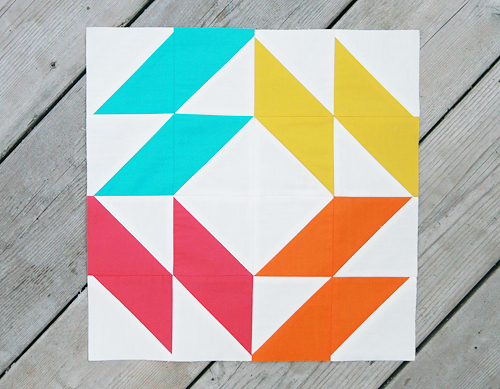 Head over to Lee's blog, Freshly Pieced, for a tutorial and a really interesting history of the block's origins. Don't forget to visit the Flickr group to post your block photos and ask any questions!